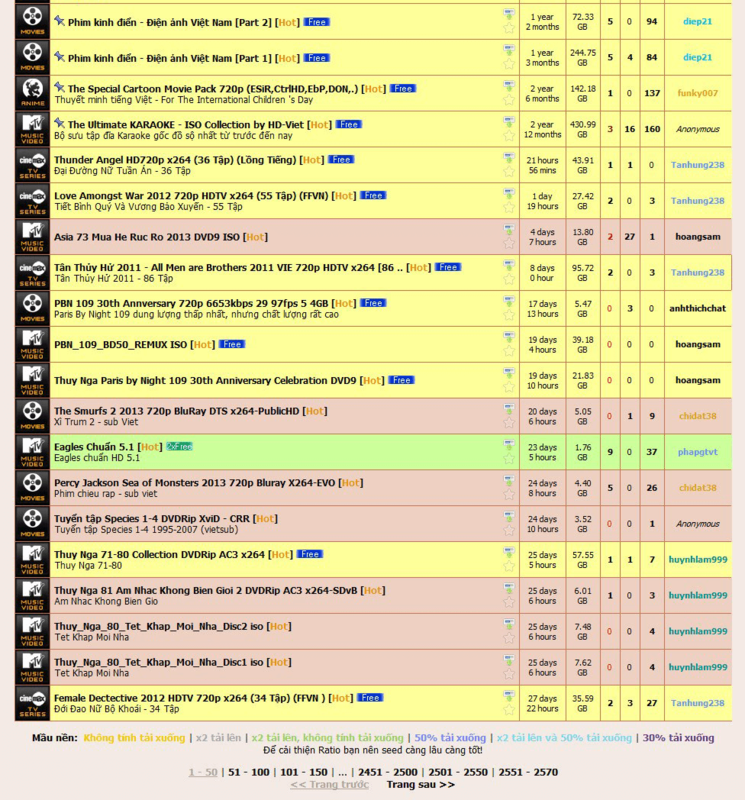 HD-Viet.com / HD-Viet / HDV – is a great Vietnamese private torrent tracker dedicated to share of HD movies and TV. TV section includes a large base of different TV-show, TV-series, sports and discovery programs. The most of video has a really high quality and definition. Also there you can easy find Vietnamese soundtracks for many popular movies. Generally speaking HD-Viet tracker is a good place for Vietnam people, really worth to own it. Lets hurry to get an invite or account here.